Do you use Jira as an issue tracker and Usersnap Classic as the bug collecting tool for your testers and users? Are you a Usersnap Classic browser extension power user? Maybe you just arrived and are now interested in Usersnap? If your answer is yes to any of these questions, then we have good news for you! Since we started in 2013, a lot has changed at Usersnap: we are not just helping people track bugs anymore, we are enabling them to share feedback to build great products. We are excited to announce our biggest change to Usersnap since we got started in 2013. Thanks for reading and for being part of our community! ?? Working on a website launch or software update can be pretty stressful, and sometimes chaotic. We’ve all experienced the last-minute changes, new ideas and customer requests coming in right before you hit the “publish” button. Luckily, there’s help on the way. With the latest update from Usersnap, questions like these are a thing of the past. If you are like me you would rather try to balance a laptop, coffee mug, charger, mouse, and your notes all at once rather than walking from your desk to the conference room twice. A similar dynamic is at work when it comes to managing feedback or planning and tracking software development processes. You want to easily prioritize and assign a task and if possible – tackle multiple tasks at once. That’s where our new feature comes in: Bulk Editing. Bulk Editing is a fast, flexible new way for you and your team to collaborate, manage, and organize internal or external feedback. I’m excited to introduce you to our newly launched Basecamp 3 integration for Usersnap. If you’re not using Basecamp, and happen to read this blog post: No worries – we integrate with 20+ other project management tools as well. Check out all of our integrations here. Better feedback for your Axure prototypes. With Usersnap. A while ago, we included Axure RP in our list of great free wireframe tools for web designers & developers. That’s because Axure is a fantastic program that allows you to easily create wireframes and prototypes for web and desktop applications. What it lacks though is a robust commenting tool and the functionality that is offered by Usersnap. We think that Usersnap can fill a gap in the Axure experience that is commonly met with frustration by many designers. In the following article we will explore why this is the case and give you a step-by-step guide on how to get the most out of Axure by pairing it with Usersnap. Usersnap has been called a “European startup to watch out for” by Forbes Magazine and have recently won the CESAward and the Born Global Champions Award. We are an international company with operations in Linz, Vienna, and San Francisco. But what is it like to work at Usersnap? We decided to do a virtual tour through our office to give you a glimpse what it’s like to work with us. 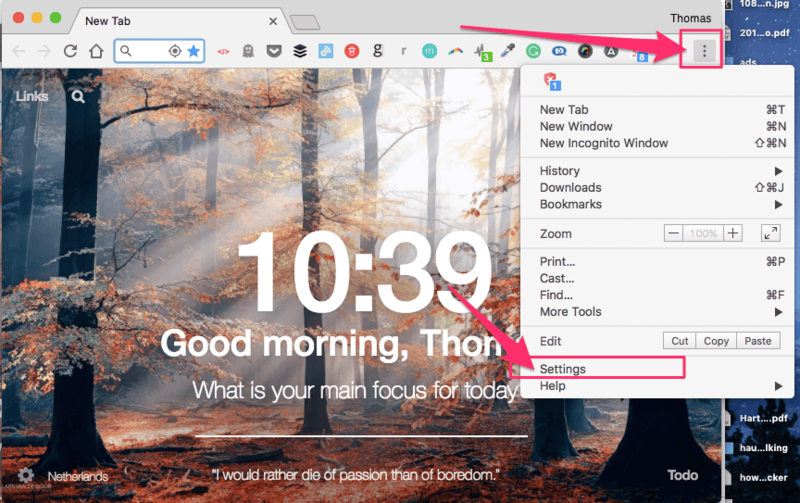 How to manage browser notifications for your browser! Your browser does not allow browser notifications at the moment? And you’d like to active them again? Perfect. You found the perfect place for your problem. Step 3: At the bottom click ‘Show advanced settings‘ and click content settings. 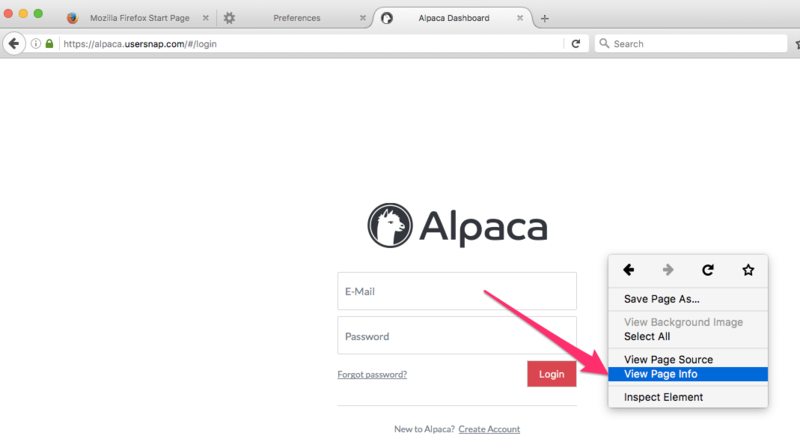 If you click ‘Manage exceptions, you could manually add Alpaca too. So, currently, there are two ways on how to manage your browser notifications on Firefox. Step 1: If you’re on a website where you’d like to manage your notifications, you can do a right-click and select ‘View Page Info‘. And that’s it. You’re good to go. Go to the Firefox menu and select ‘Preferences’. 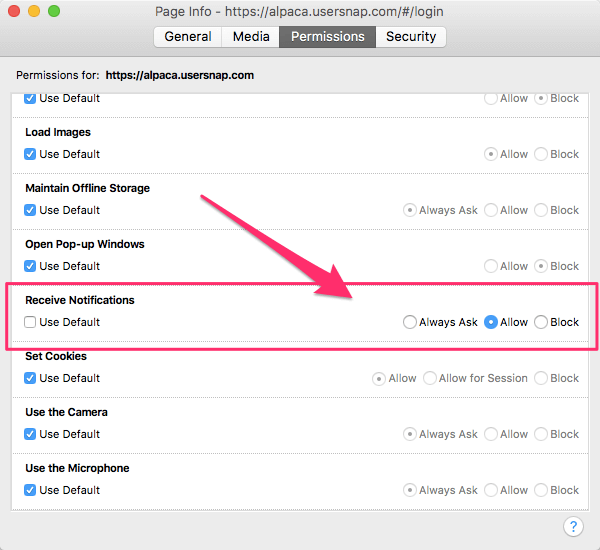 Managing your browser notifications inside Safari is pretty easy. Here’s how it works. Step 2: Choose the Notifications tab. You can now choose the permissions for each website. 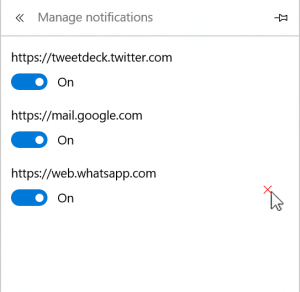 Last, but not least, let me give you some insights on how to manage your browser notifications inside Microsoft Edge. Alternatively, you could also turn off notifications in your ‘Action Center‘ by right-clicking on a notification. Browser notifications are a great way to get updated on new activities on particular websites or web apps. 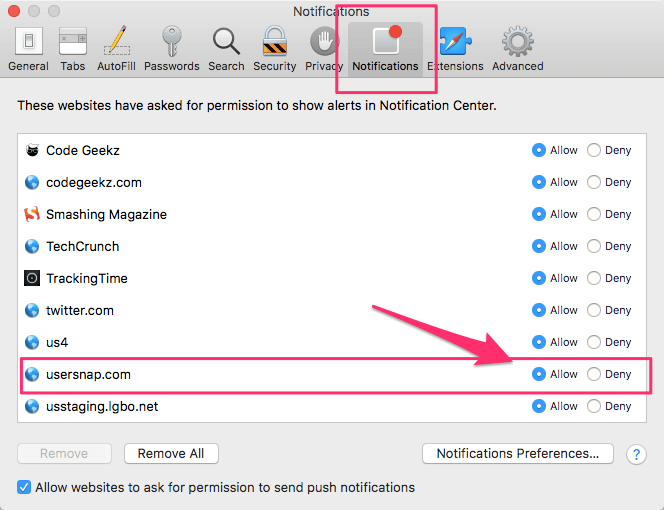 I hope this detailed guide on how to manage your browser notifications helped you to stay on top of your notifications.